A disabled rider from Warwickshire is getting ready for the trip of a lifetime when he sets off for Everest Base Camp next March. Max Stainton, who has cerebral palsy, will be the first disabled person to ever attempt the challenge. He’s currently in training and his ride will help to fundraise for the RDA and the build of their new national training centre in Warwickshire (read all about this centre in issue 429 of Your Horse). Joining him on the adventure will be Max’s friends and loyal team of supporters, who collectively call themselves Riding Everest. 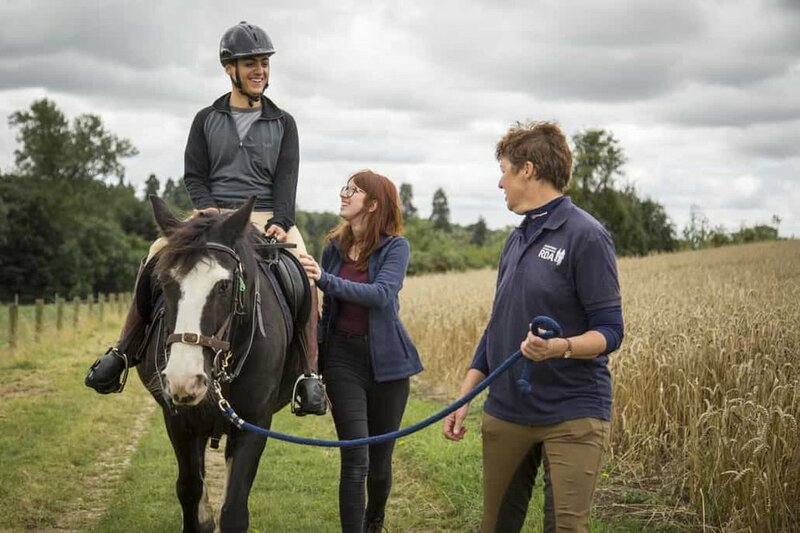 As you can imagine, a lot of preparation is needed for the trip and Max has been riding as frequently as he can with Hyde Park RDA and having regular training in Leicestershire. Off the horse, Max is building his stamina by climbing the flights of stairs in his London flat, along with regular sessions with a physiotherapist. Along with Max’s welfare, a lot of thought has been given to the horse he’ll be riding. Max’s steed for the journey is a Nepalese pony and is well used to the conditions that the team will encounter on their trip to base camp. Horses are often used in Nepal to help tourists who become sick when up in the mountains. Their strong physique and ability to navigate across tricky terrain makes these ponies ideal to help the Riding Everest team. Speaking about his challenge, Max said: “I’ve always wanted to do something big and crazy and exciting. I’ve been riding with the RDA since I was five. “We first started talking about it in the pub about a year and a half ago and thought it would be something cool to do, but it was put on the backburner. It wasn’t until my friend Livi went away and found out that it was feasible that it all started. Here at Your Horse, we’ve been inspired by Max and his challenge and will be following him along the way with a series of video blogs coming up over the next few months. Keep an eye on our Facebook and Twitter pages for when they go live!